Our Club’s Annual “Bear Bogey” Golf Tournament is scheduled for Sunday, September 17, 2017, at Sequoia Woods Country Club (SWCC) in Arnold. Golf check in is 2:30pm with tee time at 3:00pm. The format is a nine hole scramble. This event is open to Ski Club members and their significant other. Dinner follows the tournament at Sequoia Woods at 6pm. Non-golfers are welcome to join us for dinner. The sign-up deadline is September 12th. We need 24 players signed up by that date to hold the event. The buffet dinner will be served at 6:00pm on the patio. The buffet includes Chef’s veggie lasagna, Chicken Marsala over pasta with mushrooms, Caesar salad, bread and butter, and iced tea. The cost of the dinner is $21.00 which includes the tip. 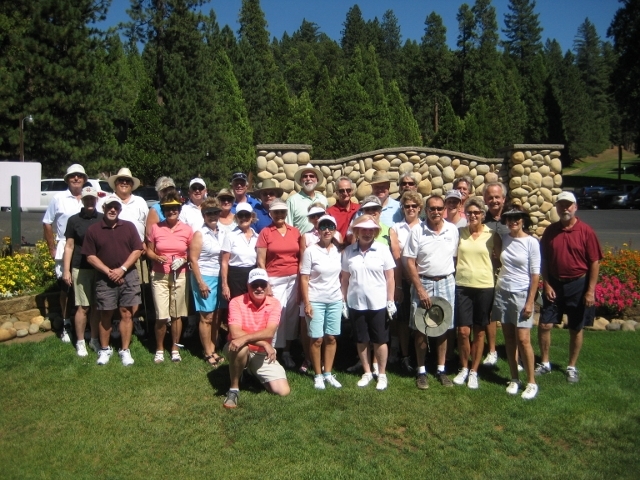 Please send the sign-up form along with your golf/dinner check payable to Bear Valley Ski Club before September 12th. All information is on the sign-up form! Thanks to our Golf Tournament Chair Andy for organizing this fun event!